Setting your own business is a great way to escape the yoke of employment. You will not just be your own boss but will also be respected and looked up to by your employees. There are a lot of things that needs to be given consideration before you put up your business. However, the most challenging task lies in finding the most competent place to put up your business.You would require operating from a place that besides being presentable should also reflect professionalism. We at Vatika Business Centre offer serviced office spaces in some of the major cities of India like Mumbai, Pune, Bangalore, Gurgaon and more. We offer all the necessary equipment’s for our client’s,to operate their business in the most appropriate way. From conference rooms, reception areas to cafeteria, we also offer telephone lines and private phone numbers, fax etc. for your communication requirements. Serviced office spaces offered by us also come with great I.T. infrastructure and secretarial services. We provide all sorts of office administrative services and that to the best of our ability so that our clients can devote their precious time in handling other important business activities and that too without worrying about daily office chores. In fact, now, you do not have to get anxious about the general administration of your office space and facilities, as we strive to make you feel comfortable and work better in a corporate environment. We have always satisfied the needs of our client businesses, perceiving their successful growth from a small organization to a more established business venture.Serviced office spaces offered by us come in different sizes, shapes, design and budget to suit and fulfill the requirement and standards of your company. We ensure that all your entrepreneurial goals are realized through proper usage of our facilities and services that are designed and created for your convenience.We have reasonably priced and flexible monthly or yearly rates that depend upon per usage basis, which means that you will only be paying for the part or space that you will be occupying and utilizing for your business. Serviced offices are flexible sources that a small business can utilize anytime they wish to expand their business. In this technology driven era, doing business in a location independent way is possible; thanks to the mobile technology and the internet. Now, you can claim to have presence in any part of the world even while working from the comforts of your home. All this and more has been made possible with the availability of virtual office solutions. Virtual Offices are useful programs designed for small companies and home office entrepreneurs who need a prestigious business presence without the expense of a physical office. These business solutions are not just beneficial but are efficient as well as cost-effective. Virtual office solutions are perfect for start-ups who want to keep low overhead costs or for online entrepreneurs who wish to exhibit professional image for their business. So, if your line of business requires you to have a physical presence, virtual office is the right way to go. By availing virtual offices, you can have your receptionist, faxing machine, local address, local phone number, and even your own meeting room’s without the need to actually invest on them. In other words, you do not have to spend a fortune to access the professional look and services that your business demands; in fact, you would require paying a reasonably low monthly payment, which further depends on the kind of services as well as the tenure for which you require them. VatikaBusinessCentre offers services in all prominent cities of India including Gurgaon, Pune, Bangalore, Hyderabad, and Mumbai. Our aim is to reduce traditional office costs while maintaining business professionalism. Considering the stiff competition in the online business world, web business owners are trying everything that would establish them as online leaders. Though, web business owners are known to work in a location independent manner, having a physical office is strongly recommended in certain businesses especially those which are serviced based. This would not just add to their credibility but also display professionalism in their approach of doing business. Since, budget is a prime constraint during the initial phase of a business; entrepreneurs try to save money on business expenses. Moreover, hiring a physical office space by small businesses that do not have store fronts could turn out to be a pretty expensive option. In such a situation,the best way is to use a virtual office space. With a virtual office, you can avail all the benefits of atypical office for e.g. access to local address, local phone number, and virtual receptionists to take clientâ€™s call, all these and more only at a fraction of the costs of running your own office. As discussed earlier, small and start-up web businesses initially run short of funds and thus cannot afford using premium office and communication services due to their high costs. By using virtual office space, you get access to these services that are usually out of reach of most small businesses. For instance, many virtual offices allow accessing online video conferencing systems and fax to mail services or meeting centres in different cities that you can use, even if you are physically not present or are travelling, you still have access to these meeting centres. Moreover, by availing virtual office solutions, you do not have to lock yourself in long term lease or rental agreement. In fact, you get the flexibility of choosing additional features as per your needs. This also allows you to control the cost and the terms of your office space usage. We at www.vatikabusinesscentre.com offer virtual office space solutions for small start-up and web-business owners at highly competitive prices. Feel free to get in touch with us; we will be glad to assist you. If you are an entrepreneur who have risked recession and wish to start your business afresh then virtual office is the way to go. Virtual offices reduce the ‘risk’ of doing business considerably and also provide an ideal opportunity for making the most of your business’s potential quickly and that too for a very low cost. During such a phase, you cannot afford to keep administrative responsibilities at the top of priority list. In fact, during this phase you need to concentrate on the core competencies of your business. A virtual office is an affordable way to make you productive besides giving a professional presence to your business in order to present an image to the rest of the world to that you are authentic. With a virtual office, you’ll have a real business address, a receptionist to answer your calls, greet your guests and accept your courier packages. Besides this a virtual office solution can provide you with conference and meeting rooms as per your needs. Administrative and secretarial support is also available when you need it. A conventional office space requires expensive long-term commitments in lease or rent besides tying you down to specific locations. By hiring the services of a virtual office solution provider, you have the flexibility of paying only for the time, space and kind of services hired. Moreover, no investment has to be made in supplies, utilities, equipment, hiring, training, and staff maintenance. 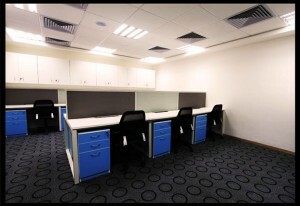 We at www.vatikabusinesscentre.com offer cost effective, flexible virtual office solutions for your new business venture. We are your support system during the initial stages of your business. So, donâ€™t risk your business, and get in touch with us to avail our services. In order to be successful, businesses require the best office set up, the best employees and support staff, the best locations and the best technology interconnected with a powerful global network. We at Vatika Business Centre offer impeccable serviced office spaces at prime business locations. We can assist in expanding your business without the costs of permanent presence. Everything from the professional common areas, to high-quality furniture, we ensure that you get everything you need to make a relaxed and fruitful environment right from the word go. Besides a prime business address, a unique phone number, and dedicated receptionists to answer your calls, we also provide you with access to completely equipped boardrooms and meeting rooms confirming you make the right impression at all your meetings and presentations. Serviced office spaces offer instant business solution combined with highly flexible leasing agreements that allow you to save time and money. We at VBS offer flexible leases or long term commitments and simply customize a package as per your specific requirements. With Vatika Business Centre around, you can reduce your overhead costs and that too without risking the success of critical projects. 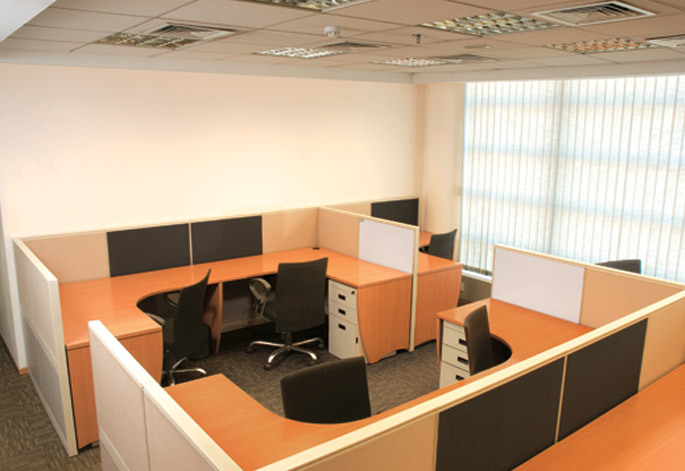 Serviced office solutions offered by us can accommodate business entity of any size i.e. from small initial ventures to corporate ventures experiencing growth, we have unparalleled solutions to suit your requirements. Now, you can create a positive impression for your business by performing daily tasks and that too without any physical presence, while continuing doing business professionally. Feel free to browse through our site www.vatikakabusinesscentre.com; we will be glad to help you. The Plug and Play offices have taken the whole dot com industry by storm. It is the cost as well as the ease of use involved that has pushed this to sobriety. The plug and play offices besides being useful are also very profitable as they save you thousands of dollars that you would have to spend maintaining and setting up a real business set-up. We at Vatika Business Centre provide you Plug and Play, Â ready to use and fullyÂ equipped offices at the heart of Bangalore’s commercial hub. Our Bangalore Plug and Play office has Conference Rooms, Secretarial Services, Office Assistance, Internet Connectivity, Telephone Line etc. With all these facilities and more, we are able to give our customers a head-start to their undertakings in Bangalore because of the complete support, including receptionists, and network of dealers, professionals and other modern amenities. If you are a newbie in the world of business and trying to give a physical presence to your business then you certainly must be looking for a low and a cost effective office solution. With the infrastructure cost soaring higher and higher, your company wants an office space that is not just within your budget but also delivers high end service to your clients. Your office space reflects your company’s image to your clients. We at Vatika Business Centre can set you an instant office solution within minutes of your demand and that too amongst the prime business locations in major cities. We project a professional image of your company by providing all the basic amenities like telephone, fax, call answering, redirecting, and mail collection. When an organization due to some or the other reason begins to downsize then the first thing that they begin doing is discharge their older workers.Â Usually, boomers fail to reconcile with their new situation, as with limited pension funds, it becomes difficult to lead a financially stable life. This is where a second career becomes a financial necessity, as well as a rewarding option. After retirement, it is up to you as to what business you wish to pursue. Be itÂ offering financial services, consulting, sales, or anything depending upon your talent and interest could be pursued. In either way, virtual offices help you to take your initial steps. The common saying that smaller is better is applicable on many fronts but certainly not on all fronts. While electronic and portable digital devices, instruments for micro surgery are considered to be better if they are smaller, the same isn’t applicable for small start-up businesses. For such start-up business to flourish it is important to make a better impression on clients and prospects by appearing a little bigger than they really are. With budget being the primary constraint, the best solution is none other than a virtual office solution. A virtual office is a perfect alternative to having your own business office space.Â Since, clients prefer to do business with those having substantial business presence; they look for many things before determining who gets their business. If you are burgeoning entrepreneur then finance must be your biggest challenge. At this point of time, you can neither afford to set up a fully furnished office space with all the modern amenities, nor can you do without it. We at Vatika Business Centre located in Gurgaon, India offer Plug and Play office spaces which are fully furnished office spaces designed as per your needs. From expandable cubicles to custom work areas that meet your company’s needs, Plug and Play office solutions offered by us has everything that is required to give a kick-start to your business. We are capable of providing fully furnished office spaces accommodating a single individual to a two hundred people and that too amongst the strategic locations in Gurgaon, India. Cut the Coffee Shop Clamor. Choose Meeting Rooms.